BAGUIO CITY – Baguio City will be fielding more or less seven hundred athletes in the twenty eight sports events lined up for the Batang Pinoy national finals that will be held in Baguio and Benguet on September 15-21, 2018 in its bid to defend its crown in the week-long sports competition. Mayor Mauricio G. Domogan said that Baguio City athletes must prove their worth in the upcoming Batang Pinoy games because it is the city that will play host to the prestigious national sports competition, thus, the need for them to defend their crown. “We encouraged our athletes to try their best in exceling in the different sports disciplines where they will participate so that our city will be able to defend its crown as the defending champion of the Batang Pinoy national games,” Domogan stressed. The local chief executive added that the local government and its partners are now on the final stages of the preparations for the city’s hosting of the Batang Pinoy national finals considering that athletes and sports officials from the different parts of the country will start arriving in the city next week for them to acclimatize themselves with the prevailing weather condition. In the case of Benguet, Gov. Crescencio Pacalso said the province will be fielding some 188 athletes who will be competing in various sports disciplines that will be played in Baguio and Benguet during the week-long sports competition. Based on the latest advisory from the Philippine Sports Commission (PSC), 22 sports events will be played in the different playing venues in Baguio while 6 sports disciplines will be played in the different venues in La Trinidad, Benguet. Pacalso claimed that all the playing venues and the billeting schools in Benguet are also ready in time for the week-long competition considering that appropriate coordination was done with the concerned stakeholders. Some 7,000 athletes and sports officials from the different parts of the country will be flocking to Baguio and Benguet starting next week to prepare for their participation in the Batang Pinoy games. Of the expected number of participating athletes and officials, some 4,000 will be billeted in the assigned schools in Baguio and Benguet while the rest of the delegations have commissioned some hotels and transient houses that will serve as the accommodation facilities for their delegates. Domogan suspended classes in the pre-school to senior high school levels on September 17-21, 2018 to pave the way for the successful staging of the Batang Pinoy games and to ensure the maximum participation of all the students in the sports events prepared for the competition. 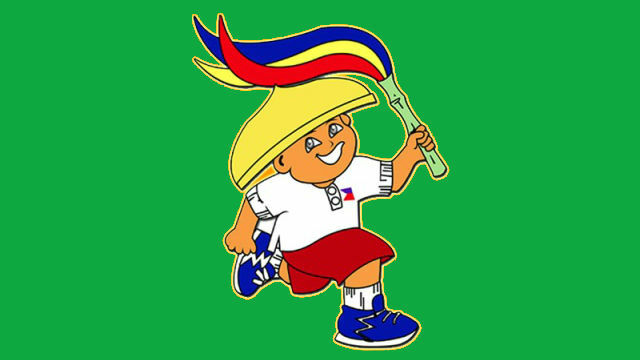 Batang Pinoy is the third largest sports competition in the country wherein participants are those athletes who are aged 15 and below.